I cannot tell you how many times I have seen costly and destructive water damage on RVs. If you think about it when your RV is traveling down the road it is constantly moving and flexing. This constant movement results in the seams and sealants eventually allowing water to penetrate the surface. Another problem is sealants exposed to the elements for a period of time dry out and crack, allowing water to penetrate the exterior surface. Every seam and sealant on your RV, and anywhere the RV manufacturer cut a hole in your RV has the potential to allow water in. To protect your investment and your wallet it’s essential that you take time to really inspect all of these seams and sealants. Water damage on an RV is similar to progressive damage to a tire. The outside of the tire looks fine, but the internal damage over a period of time causes the tire to fail without warning. The outside of your RV looks fine but the internal damage caused by water damage over a period of time can result in the entire roof, floor or wall rotting away without you knowing it. It’s important that repairs are made as soon as you identify any water damage on your RV. The longer water damage exists the more it spreads and the more it costs to repair it. If you attempt to make the repairs yourself make absolutely sure you use the proper sealants for the type of material you are repairing. 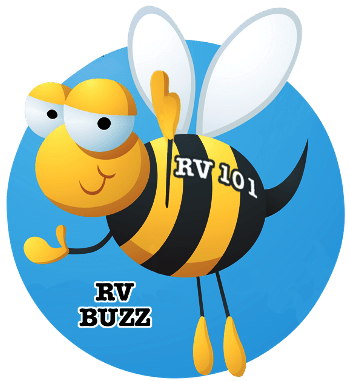 If you are not sure what to use call your local RV dealer or contact a reputable RV repair facility for some advice. Many RV manufacturers include maintenance interval charts in the RV owner’s manual. It’s important that these inspection intervals are followed. In some cases the warranty can be voided if inspections and maintenance intervals are not followed. If you are not comfortable inspecting or working on the RV have the maintenance done by an authorized RV repair facility. I am including this RV how-to video to demonstrate some RV tips and techniques on how to inspect your RV for water damage. 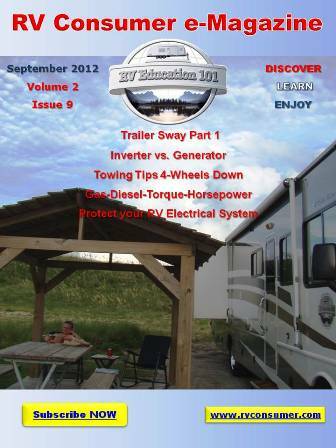 For more information on how-to keep your RV in top operating condition check out our RV Care & Maintenance DVD or E-book.